Anything which happens so quick may not last long. Any relationship just started so fast may end up soon. But not a relationship which is slow and steady. So is the friendship with your dear friends. 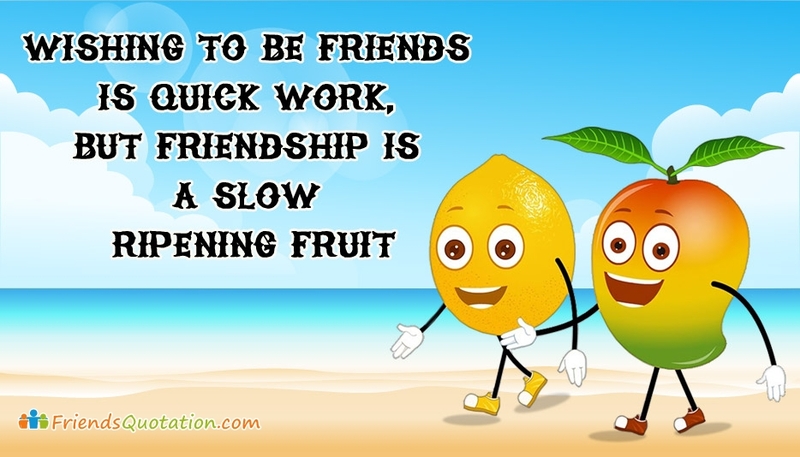 Share this beautiful friendship picture with the message "Wishing to be Friends is Quick Work, But Friendship is a Slow Ripening Fruit" with your dear friend and say to him/her that his/her friendship is like a sweet fruit.